I'll be honest with you, I have done the whole Shut up and train version of Karate. From twice per week to six times per week. High intensity, doing what Sensei says and reaching for my limits. Every. Time. Well, not so much. Despite my youth and vigour training like this still meant I was overweight, stressing my body out, damaging my joints and trying to just push through with the pain. Until I found another way, a way that would work with my Karate and not against it. A way that would work for me and not against me. A way that would get me down 12 kg in weight, drop 10% body fat, feel stronger, faster and in much better shape. It wasn't easy, and it wasn't quick. I didn't have the time or money for a Personal Trainer, especially not one who would know how to work with my Karate schedule. I had to trawl through the internet finding and trialing diet programs, nutrition information, strength and flexibility exercises... Whilst maintaining my energy in the Dojo. And truthfully, we are in the 21st Century, so mindlessly swinging blocks of concrete on sticks didn't appeal to me. We have Kettlebells, dumbbells, barbells, power bands and a host of modern exercises that we can use to train. Just look at all the other professional Athletes - do they stick to the methods of the past century? Or do they continue to innovate and improve? I am sure if the Okinawan masters could get their hands on the tools we have today they'd love them. I get it, we want to be "traditional", but we also want to take our Karate practice a step further. We want to do what's right for us? And we want to keep our Karate as our main practice. Well, here it is, an eBook that will spell out the basic framework for you. 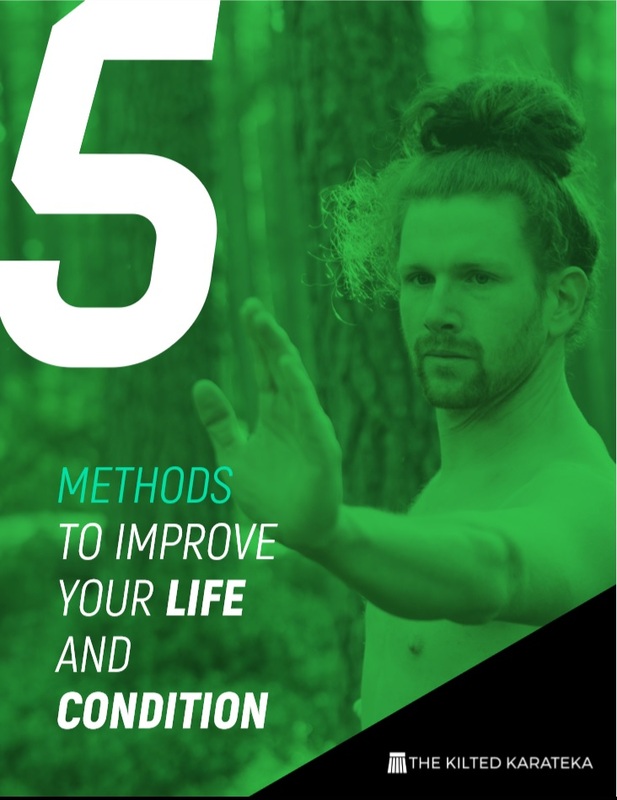 5 Methods to Improve your Life and Condition. To get you leaner, stronger and more flexible - and it's up to you how you chose to do so. It's not here to undermine your Sensei, or to convince you to take up my Super Duper 100% Strong Bod Program. It's about what works for you and how you fit it into your practice. And that is only the first step!! It only requires a small commitment of just £10 from you. More value to you for making a commitment. The hard work and effort comes from you, but you will gain a better understanding of what is on offer for diet, nutrition and supplementary training. It will also help guide you to understanding what will work best for you. If your not ready to be fully committed to making that improvement then you can also Subscribe to my page to receive Regular Emails as well as access to other eBooks and regular blog post updates. 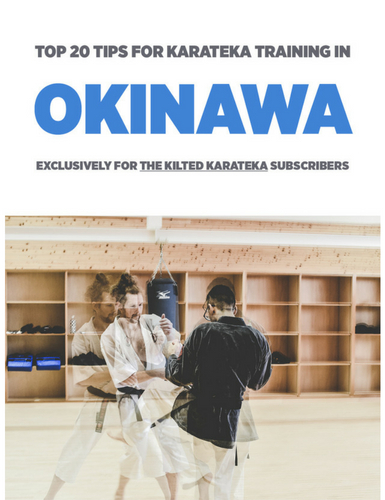 Top 20 Tips for Karateka Training in Okinawa Written using my extensive travel knowledge applied to my time living and training in Okinawa, the birthplace of Karate. Shu Ha Ri Guide Taking in over 20 years of Martial Arts learning and development and creating a guide that can be used during any stage of development, not just the learning in the Dojo.